(Fort Lauderdale, FL) –A military veteran who served with the U.S. Marine Corps Special Services during World War II, Miami resident Conni Gordon is also a world-famous art educator recognized since 1980 in the Guinness Book of World Records as the most prolific art teacher in the world. Gordon’s generosity extends to NSU Art Museum Fort Lauderdale, where she recently made a $500,000 legacy gift that will support museum education programs. “My passion has not been what I can do for myself, but what I can do for others,” said Gordon. Her legacy gift creates the Conni Gordon Education Series at NSU Art Museum Fort Lauderdale that will help bring to fruition her philanthropic goal of educating millions of people within the South Florida community and internationally through the museum and its website. 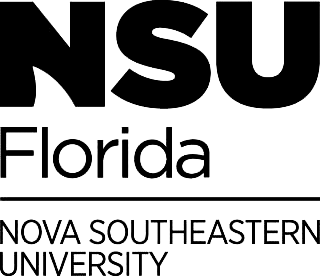 Nova Southeastern University (NSU) inducted Gordon into its Fellows Society during a ceremony at Grand Oaks Country Club on October 27, 2016. Her gift further supports NSU’s Realizing Potential philanthropic campaign. An innovator in the field of art education and creativity, Conni Gordon received her formal training in the visual arts and philosophy at Columbia University in New York and Ecole des Beaux Arts in France. In 1943, she was one of only a few women who enlisted in the Marines. During World War II while in the U.S. Marines Special Services, Gordon taught over 50,000 Marines how to draw, providing them with a welcome relief from the war. Gordon’s experience led her to create a patented 4-step art method called TILS© (THINK-it, INK-it, LINK-it then SYNC-it) where anyone can create a “picture in minutes.” Using this method, she empowered over 17 million people through art in 80 countries. Gordon is the author of 41 art instruction books, which have sold over 15 million copies. She had a long-running television show on Miami’s WTVJ-NBC6, and has been featured on numerous national and international programs over the past 60 years. Her students are former presidents, CEOs and celebrities, including Johnny Carson, David Letterman, Jack Paar and Steve Allen. In 2014, a generous donation from Gordon helped establish NSU Art Museum’s Art of Teaching Art series, dedicated to presenting innovative methods in art education for children, teens and adults. NSU Art Museum is located at One East Las Olas Boulevard, Fort Lauderdale, FL. For additional information, please visit nsuartmuseum.org or call 954-525-5500. Please visit www.nova.edu for more information about NSU and realizingpotential.nova.edu for more information on the largest fundraising campaign in NSU history.